At the event, the Philadelphia Energy Authority (PEA) released “Opportunity Assessment: Using Energy Performance Contracting to Address School Facility Needs in Philadelphia”, a white paper providing an initial assessment of the size of the opportunity and the types of capital needs that could be addressed using energy savings. PEA determined that Energy Performance Contracting (EPC) could use energy savings to finance much-needed capital projects (e.g. boilers, windows, insulation, lighting, HVAC, etc.). This work will result in up to $600 million in savings over 20 years, and will not require any out-of-pocket expense over and above SDP’s existing utilities budget. The complete whitepaper is available HERE. 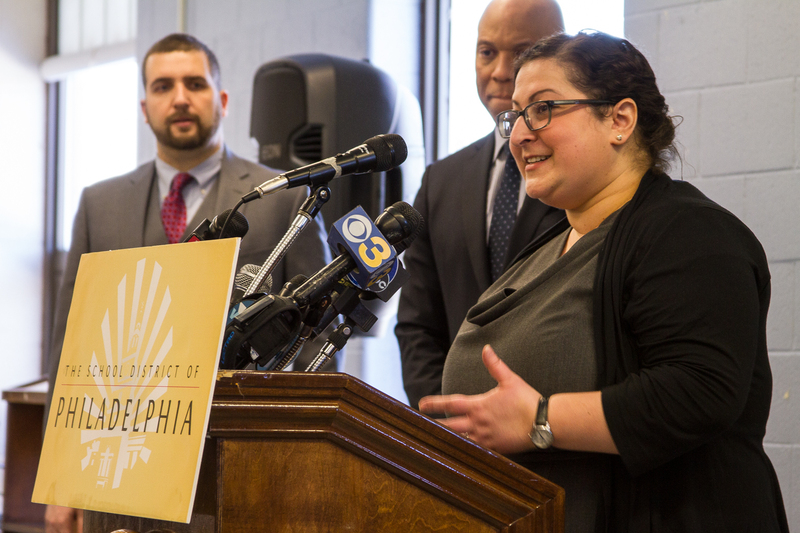 The School District of Philadelphia also announced an energy performance contracting (EPC) pilot project, including energy conservation measures, at three (3) K-12 schools. These projects are being developed as a pilot to determine the viability of energy projects across over 200 schools in the future. The School District of Philadelphia is requesting proposals from qualified engineering firms who can provide energy performance engineering (EPE) services or owner’s representative companies or any company that feels as though they can satisfy this scope as the School District moves forward with an Energy Performance Contract (EPC) through the PA Guaranteed Energy Savings Act (GESA). The School District’s Energy Performance Engineering Services RFP is available HERE. The full video of the press conference is available below.